Tall arrangement of white oriental lilies and foliage in a glazed white ceramic vase. 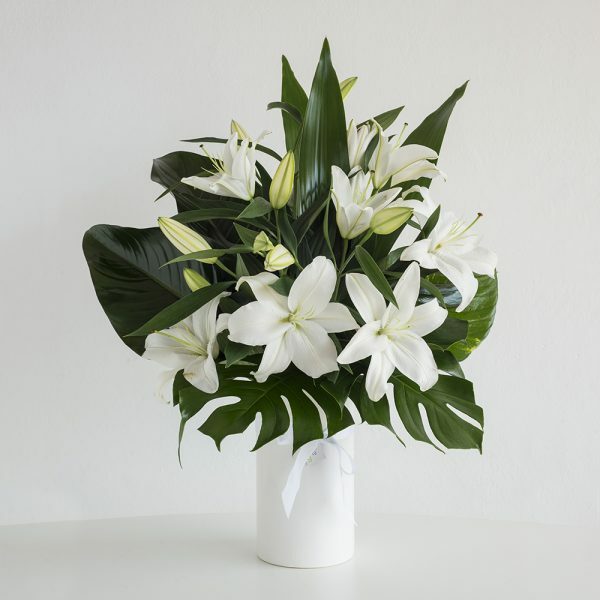 Suitable for a sympathy arrangement or even flowers for a special event. This tall arrangement will complement any house or event and is a simple but classic look sure to impress.